The Boost Your Energy Package is a complete prescription for transforming fatigue, stress, and fear into an abundance of vitality, strength, and love. Rejuvenate yourself through intuition and energy awareness. Shield yourself from negativity by generating positive energy. Learn how to attract positive people and situations. Our energy is a precious gift. 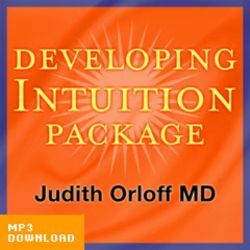 Dr. Judith Orloff, a practicing psychiatrist who integrates intuition into her medical practice and is a pioneer in the new field of Energy Psychiatry offers empowering prescriptions to maximize well-being by tapping into our body’s subtle energy, our most primal life force. 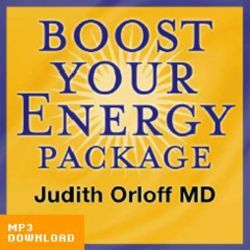 Dr. Orloff shows us ways to reconnect with subtle energies in daily life to become more joyful and present in everything that we do.